Low/No-Cost Options to Improve Your Mental Health Today! Matthew Goldenberg, DO Blog Low/No-Cost Options to Improve Your Mental Health Today! Welcome back to the Mind Matters Blog! And Hello to new readers! One question that I received regarding my previous post “Doc, I Think I am Bipolar!” was “what treatment options are available for those who lack the time and finances to engage in weekly therapy”. This is a great question! The answer can also be helpful for those who have medical insurance, and are not encumbered by limited finances, as anyone can find it difficult to access quality Mental Health treatment at one time or another. I have several recommendations that can help whether you have Borderline Personality Disorder (which was the topic of my previous post), or another Mental Illness, regardless of your financial means or ability to see a Psychiatrist or Therapist. These resources are also beneficial if you have a friend or family member with Mental Illness and you want to educate yourself or need support yourself. These suggestions can be augments to your current treatment plan, or can serve as a place to begin the healing process if you have been having trouble establishing care, however, these suggestions should NOT serve in the place of a formal consultation with your Primary Care Doctor or a Psychiatrist. There are great books that can serve as a resource for all Mental Health Diagnoses. 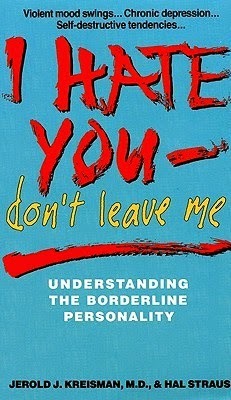 A patient recently recommended the book “I Hate You-- Don’t Leave Me: Understanding the Borderline Personality”. This book is well reviewed and is available on Amazon for less than $10. The book begins with a description of the signs and symptoms of Borderline Personality Disorder. The review can help patients and their families better understand how the symptoms of Borderline Personality Disorder may be negatively impacting many aspects of their lives. The remainder of the book provides tips and suggestions for friends and family to improve Quality of Life and decrease the impact of the disease. Here is a link to the book. Reading self-help materials or books (also known as bibliotherapy) can be a great resource for patients and their loved-ones. While this book is aimed specifically for Borderline Personality Disorder, there are scores of others for those suffering from Depression to Bipolar Disorder to Schizophrenia. You may be able to get free copies at your local Library. You can also speak with your doctors for suggestions or search websites like Amazon for highly rated resources. Going through life's stressors and the problems caused by Mental Illness can be especially difficult if you are doing it alone. I have written extensively about the importance of hope. One of the most important factors of why Alcoholics Anonymous helps people stay sober is because it provides camaraderie and companionship. Support groups provide an opportunity for you to learn and heal from other members’ experiences and for them to learn from yours as well. Many of my patients initially shun the idea of attending or joining a group. “Me? Speak in a group?” is often the look or response I get from my patients when I suggest this treatment option. However, it is important to remember that everyone in the group is coming there with the same fears and vulnerabilities. If it was not beneficial or they did not find it helpful they would never come back! Support groups are a free and effective option for both individuals with Mental Illness and their families. Like you, few people are jumping at the chance to go to their first group. However, everyone in the group had to start with a first meeting. They are aware of the feelings that a new member is experiencing. You do not need to speak, you do not need to make new friends, you just need to go to begin the healing process. The worst thing that might happen is that you find the group is not a good fit for you. The best thing that happens is you find camaraderie, you find an outlet for your feelings and you find understanding. I encourage you to take the risk and attend a group. You can search for support groups in your area. Look for groups that are aimed at your specific diagnosis. If you are in a more rural area they may have more generic groups. That is okay! You can speak with your Psychiatrist, Therapist or Primary Care doctor for more specific recommendations in your area. The National Alliance on Mental Illness (NAMI) is a great organization to know if you or a loved one is suffering from Mental Illness. 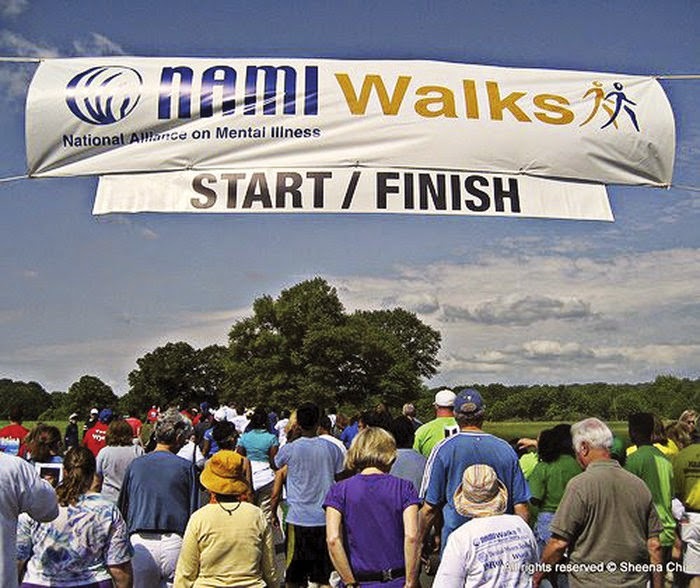 NAMI is the nation’s largest grassroots mental health organization. It was started by a group of families in 1979 and has expanded to an association of local affiliates located in every corner of the US. Each chapter is supported by volunteers who work in the community to raise awareness and provide support and education to those in need. They have a toll-free NAMI HelpLine (1-800-950-NAMI) and they respond to requests for referrals, information and support. NAMI also provides free education programs which can be accessed through their website:nami.org. These can be a great resource to learn more about your mental illness or learn how to better help someone whom you care about. They can be a great place to start if you are feeling lost or helpless to get the support that you need. 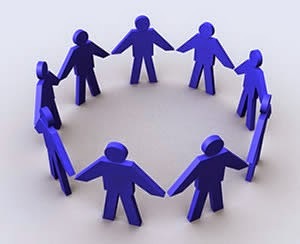 If you are struggling to find a support group in your area call NAMI to help you find a group that is right for you. NAMI is a great way to get resources in your community or to get involved and volunteer! You can also get involved and volunteer with NAMI to help advocate for those suffering from Mental Illness. They are a leader on both National and Local levels and can be a great place to give back to your community. They are standing up for those with Mental Illness, giving them a voice and helping to decrease the stigma associated with these diseases. Give them a call if you are interested in joining the cause. While I always recommend speaking with your doctor or making an appointment with a Psychiatrist, these examples of free and low cost resources should give you hope. You do not have to be among those with the most means to get treatment and resources. Books and Self-help materials, support groups and NAMI can be great resources if you are unable to access a consultation with a Psychiatrist. In a crisis, if you ever feel unsafe, you can always call 911 or go to the nearest Emergency Department. These resources may give you the tools you need to turn things around and improve your quality of life. Please share these resources and ideas with anyone you think would benefit. We are all in this together. Talking about Mental Illness and sharing resources are ways each of us can combat Stigma. Please include additional suggestions of good resources in the comments section! Additionally, include your suggestions for future articles in the comments section and I will do my best to make them the topic of a future post!